Because the winner wasn't the best one. A lot of people watched the ballot box get stuffed after voting was over & someone else had already won. some of the comments dont really read as a complaint that the voting period was longer than expected. the winner whas not even close with votes one day before he got in overtie more than 200 votes , once again honesty at his best , i dont care who win may the best man win but is this a honest art vote , naaaaa just friends for friends vote to bad we make enemys in a war game "didnt make sence that remark pascal "
This definitely does not pass the smell test here. I have no stake in the winner of this, but I think at the very least there should be a runoff between the top three. Sorry it has taken me so long to reply I was still a little more than upset that Kixeye changed the rules of the contest. 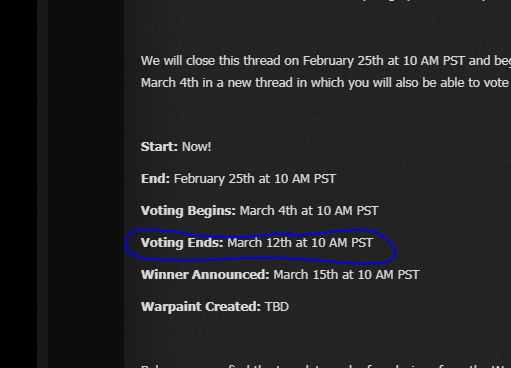 The closing date for voting was set as 10am PST on the 12th of March. Pacsal and my self could have continued promoting our designs, to maintain our lead. As the voting had meant to be closed and at which point my design had won, we both stopped. 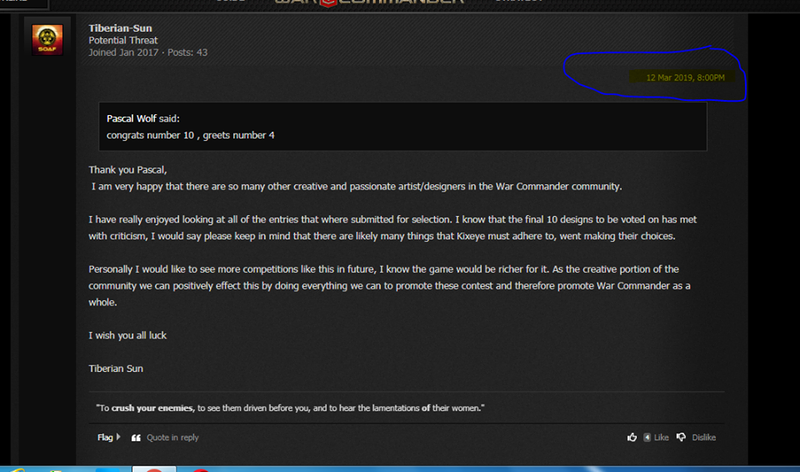 This is the source of my annoyance, Kixeye if you hold an other Warpaint contest you must stick to what you say. 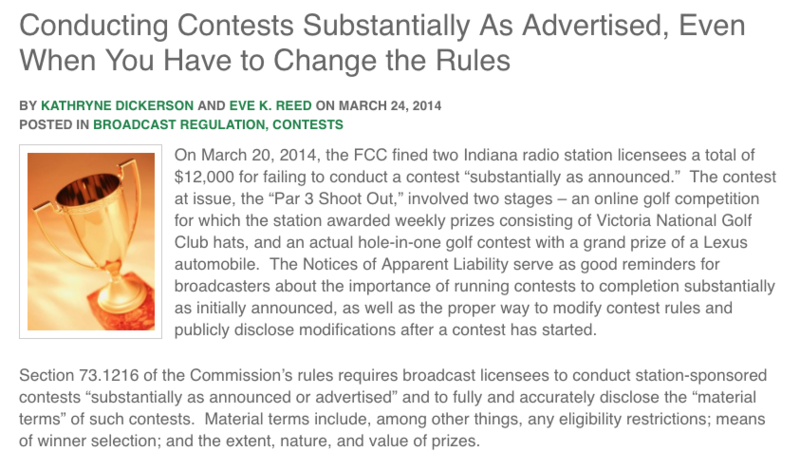 If you post a closing date, then close the contest on that date!! All you've done now is create a lot of bad feeling! Apologies for not congratulating the winner, I hope you can understand why I am not..
you are the winner and everyone knows it. You were just robbed of the benefits by kixeye. bro, I asked Burny what the event was about, the discord he told me on the 15th he decides who is the winner, that's why I promoted the painting because on the 12th my painting was passed in votes to yours, that's why I continued to promote my painting. That count for both of us , thank you for you kind words once again , besides what you already have said , they realy didnt judge on the art work , its friend for friends , but we are not bad loosers so iff they wanna do contest like that , i wil not participate next time. I'm not disputing that it was closed late, but if they really wanted to use the cashe cleaner wouldn't they have done it before the time the vote was supposed to end and not after it was supposed to end? Im pretty sure you are taking about the RIMM Titan WarPaint or an other? Either way Im happy you brought this up because in the back of my mind I recalled something like this happening before but could not put my finger on what and how it happened. So in the interest of far play I must ask Team Kixeye, why did you not make a new announcement here on the Kixeye Forum that a change was to be made to the posted closing date? As the Forum was the chosen media for both submissions and voting any changes to dates should have been announced here!!! Im sorry to say this but Im with you DragonSun and Pascal on this matter, I will not participate in further WC contest like this due to bad practise on behalf of Kixeye. Ultimately Kixeye its you that has lost, the creative portion of the the War Commander tribe is only so big, your actions have sown the seeds of mistrust. You have also lost out on what would have been a lot more positive promotion of War Commander as Mayor, Pascal and myself forth it out for 1st place. -Excuse me.. Is this some kind of troll that majority of people and i don't understand? -First of all, this war paint it self looks crappy as hell. -Secondly, the voters i bet was 60% of alt accounts.